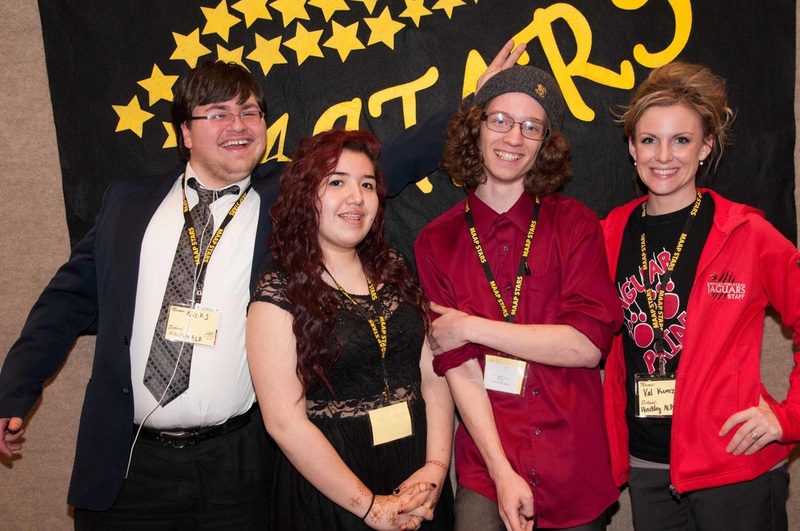 A student leadership organization with chapters in alternative schools across the state of MN. Develop employment, academic and social skills. Experience career related activities that in turn assist them in making an informed career choice. Build a cooperative and competitive spirit through individual and team activities and competition. Strengthen social skills and build an appreciation for the responsibilities of citizenship, brotherhood, and the American free enterprise system. Develop self-confidence; increase motivation, and create a desire for and belief in life-long learning. To meet with, have fun with, and ultimately develop an appreciation for students and staff from other alternative programs. Many MAAP regions and individual programs hold other STARS activities throughout the year. The Hinckley chapter of STARS participates in all statewide events, as well as a few of their own. Three representatives of our local chapter participated in the statewide Spring Events Conference, competing in a range of events from Team Management Decision Making, Parenting Decision Making, Employment Interview, Public Speaking, Artistic Performance. They brought home 2 bronze awards, 2 silver awards, 1 top-ten, and 1 perfect score. Let us know if you have an idea or are in need of volunteers for community service!